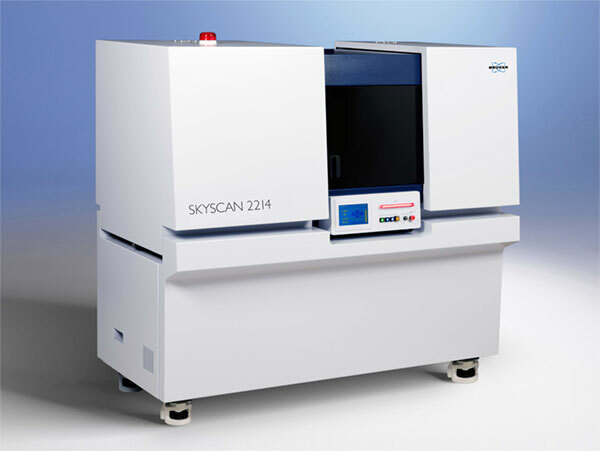 The SkyScan 2214 is a new multi-scale X-ray nanotomograph, which covers the widest range of object sizes and spatial resolutions in a single instrument, opening up a whole new range of possibilities. World’s fastest hierarchical 3D reconstruction software: 10-100 times faster than conventional algorithms and GPU-accelerated reconstruction. 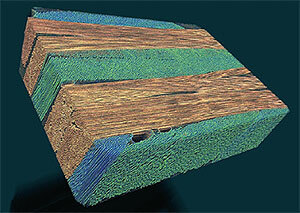 Volume rendered 3D model of shale with colour-coded local thickness of the pores. 6.2 μm voxel size. 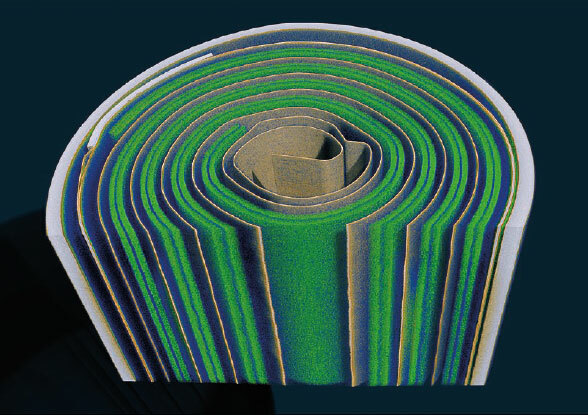 Volume rendered 3D model of CFRP (Carbon-Fiber Reinforces Polymer) with colour-coded local fibre orientation. 600 nm voxel size. 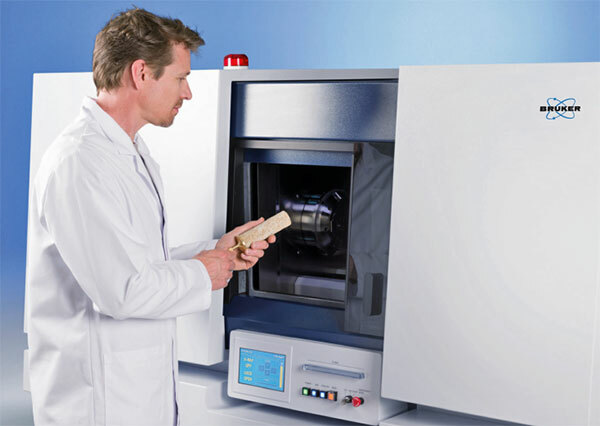 Virtual cut through a lithium-ion battery. Scanned at 900 nm voxel size. 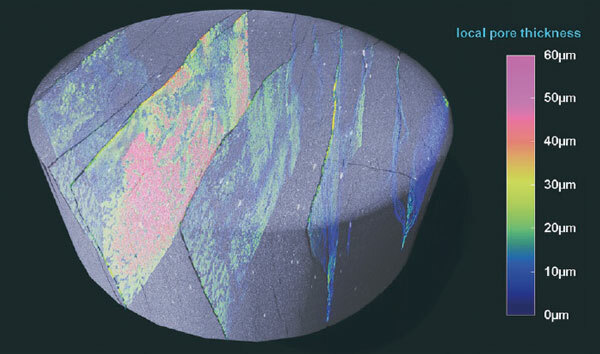 Reconstructions can be sent to iPads, iPhones or Android devices, where you can make virtual cuts on your touchscreen.